- Air velocity : m/s, ft/min, km/h, knots. Having data Hold function. Supplied with Battery, packed in beautiful carrying Case. 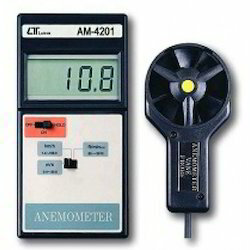 We are one of the most well-distinguished companies in the market that are into offering Digital Anemometer. 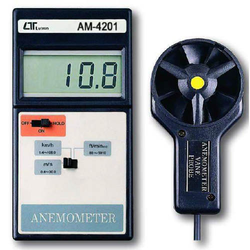 We at S.S.SON CONTROLS ( Mumbai ) are leading suppliers of Anemometer in India .